The humble BlackBerry - friend or foe? 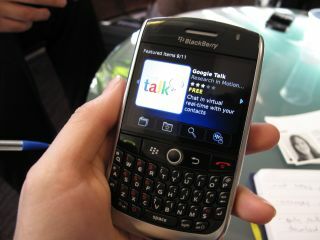 A study has estimated that people with work mobiles and BlackBerry handsets work an extra 15 hours a week. A survey by employment firm Peninsula suggested that the work/life balance had been tilted by the steady shift to mobile email access and being on constant call. The survey, which was on a relatively small sample of 600, underlines the growing problem of employees working long hours and not having a lengthy break to focus on their private lives. "It is important for staff to spend quality time away from the office, spending time with the family, or undertaking recreational activities rather than tapping away responding to client emails or deadlines so that they keep a healthy work/life balance," said Peninsula's Managing Director Pete Done – presumably very much on the clock. "Bosses should encourage staff not to work from home unless necessary. Inform staff that they should limit working from home," Done adde. "If they are happy to work away then ensure they agree to opt out of the maximum working week and have this signed. "Limit the extent to which employees are using their devices when they choose to do so; un-rested employees will be less productive during the working day."